With its refreshing fruity notes, the drink is a tribute to the restless and rugged spirit of renowned Dutch explorer Willem Barentsz. An attempt to navigate the Northeast passage saw his crew fight twin terrors; polar bears and frozen beer. 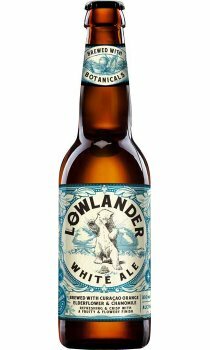 The White Ale, a beer style typical to the Lowlands, receives an appealing twist by spiking it with curacao orange, elderflower and chamomile giving it a fragrant fruity finish.